First Terrain Board | 30mm Madness! 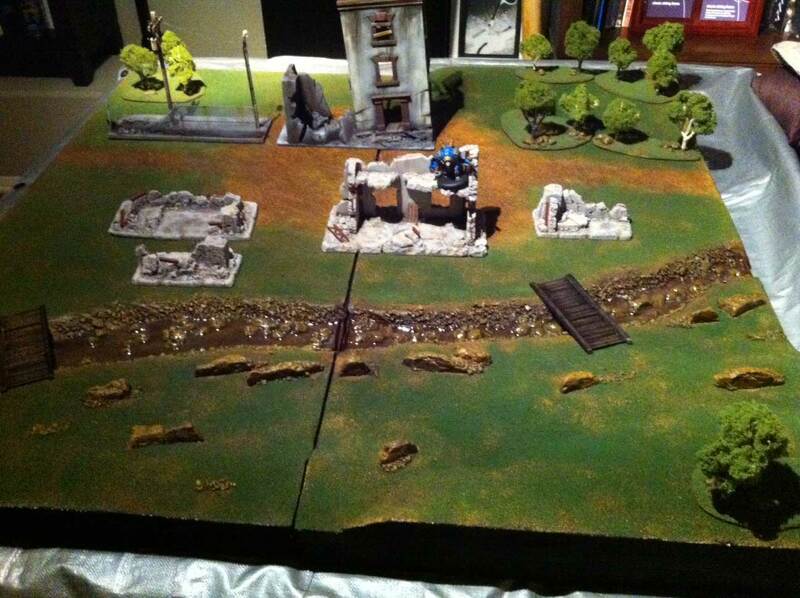 Here is the first completed terrain board! It is 2 2′ x 4′ 1/2″ plywood sections covered with a base of 1″ extruded ‘blue’ insulation foam, and then up to two additional 1″ layers of foam formed into hills. 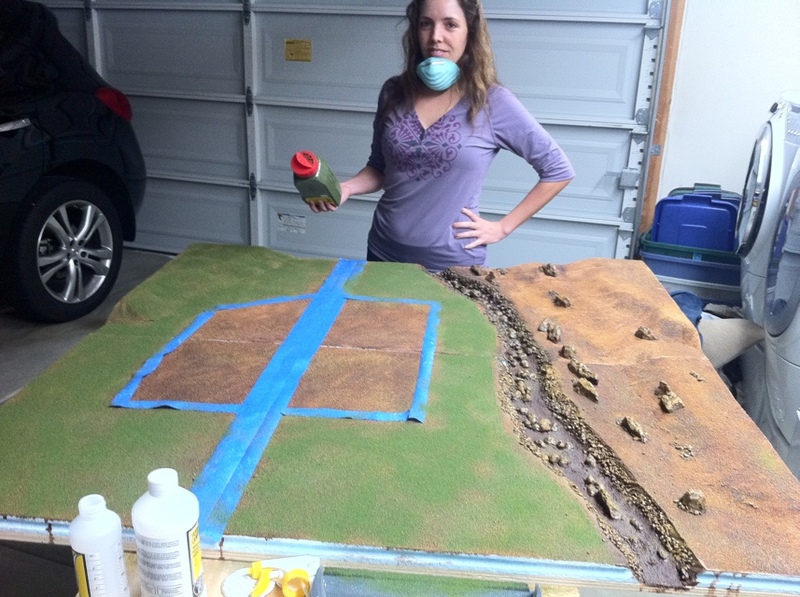 A Hotwire Foam Factory 8″ Pro Hot Knife was used to cut out the river and form the hills. Here we are applying flock! Board freshly coated with aragonite sand sprinkled over watered down PVA glue. This entry was posted on March 4, 2011 by justinhardin. It was filed under Terrain .